Recently acquired 0 gauge Atlas Diesel Anglicized. Mike living in my own little world far from reality. What a difference! Its origin as the Plymouth is almost unrecognisable. I see it still has the original mechanism in there, that must have taken some serious work with a hacksaw to shorten it. I dunno.... the motor is vertical (visible in the cab) with a gear train to the axles, so it would really mean removing the last few gear sets and axle, and shortening the frame. A hacksaw job for sure, but not complicated. Unless they were needed to cover part of the mechanism, I think I'd have been tempted to use only the rear of the hood and so lose the Plymouth-style "ears" at the front. A very effective conversion, however. It wasn't just a hack saw job, which incidentally took nearly 30minutes with a well lubricated new hack saw blade to shorten the cast mazac casting. The footplate was narrowed and shortened, the ears as Giles pointed out were left on as some planet locos had a similar arrangement. New cab, exhaust, headlights, buffer beams and buffers. The buffers and stocks came from a Lima 02 the heads fitted with disks of plastic. The original cab roof was narrowed by cutting a section out and rejoining. 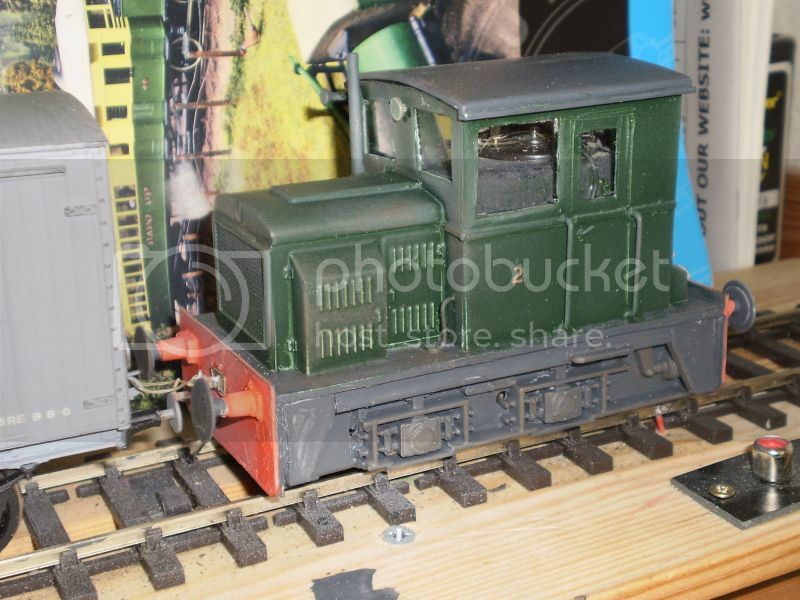 The whole conversion took a day and cost in materials and donor loco around £20 a very cheap 0 gauge loco.